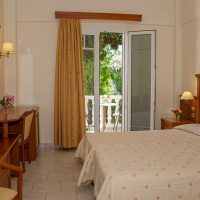 Double or Twin, Standard garden-view rooms are comfortably furnished in a traditional island style with all the modern amenities needed for a relaxed holiday. 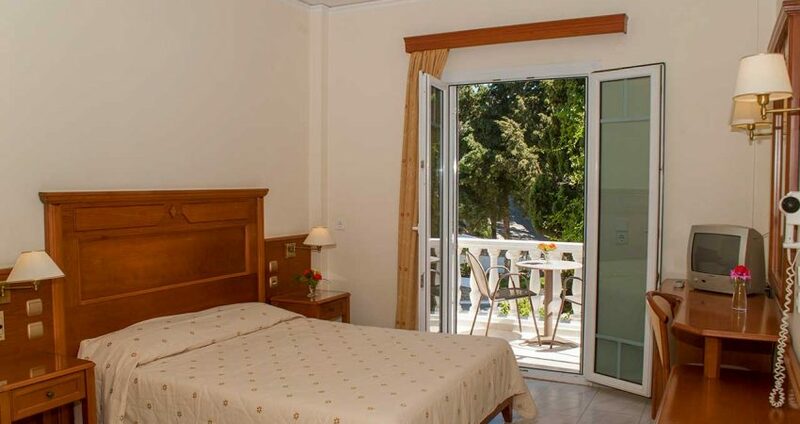 Some have a sofa bed or double sofa bed, adequate to accommodate a family, and shower cabins or bath tubs. 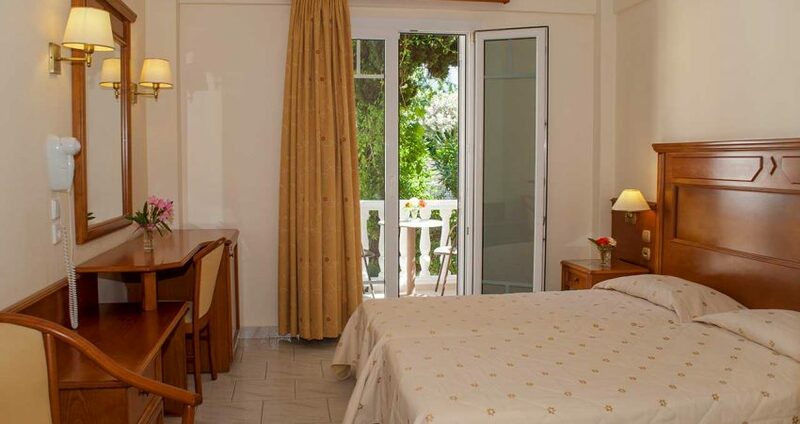 All rooms have either a balcony or terraces, overlooking the gardens or the blue sea of Kerveli bay.